Thousands of tourists are canceling their visits to Tanzania as the newly introduced VAT (value added tax) on tourism services comes into effect. News agency Deutsche Welle (DW) reports that about 8,000 tourists have called off their vacations so far. The tax, which comes into effect on July 1, is reported to have already cost the Ngorongoro conservation area $660,000 USD in lost revenue. The 18 percent tax is being levied on previously exempt tourism services including park fees, ground transport services, tourist guiding, game driving, and bird watching. Under the new tax, tourists will pay up to 25 percent more than what other East African countries charge, says the EastAfrican newspaper. “If 18 percent is not a big deal why don’t [lawmakers] cut their own salaries and budgets by only 18 percent,” asks one commenter on travel website TripAdvisor. 6 Comments on "Tax spooks thousands of tourists"
It is surprising that the government thinks Tanzania is the only tourism destination in the world! The decision is really ridiculous and it shows how desperate TRA is looking for funds. This is just the beginning of the failure. Tourism is a major industry for Tanzania, and as a 3rd world country it is a means of survival for many. To try and tax this in these uncertain times of the world economy is to shoot oneself in the face. Keep it up guys you are taking this country back further not forward. Now we all miss kikwete. Tourists who have saved up for years and paid for their safaris a long time ago are now confronted with an additional 18% that they must cash out. The tourism sector which is already struggling will now come to it’s knees thanks to one idiot. Shame on you Philip Mpango. You are a disgrace to this country. Shame on you!! They want to fix 40 years of mistakes in 1 year. Good luck smart people!!!!! When is operational efficiency going to be looked at as a means to save costs and therefore generate more revenue rather than simply adding more and more taxes every year? 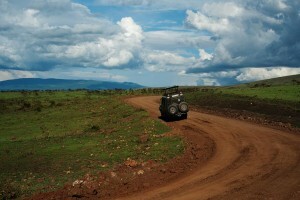 Kenya was the gem of African tourism from the 1970s to the 1990s. Their arrogance with respect to the tourism sector – albeit in a different way than that of Tanzania – brought them to their knees where they are now. With the kind of arrogance in Tanzania where they feel there I so limit on which to charge fees to the tourism sector will bring it down to its knees too. Mozambique’s tourism sector, which was also doing well over the past 10 years, is now also on its knees. Why should Tanzania be immune to the same result when being so arrogant? The VAT itself is not the actual problem. The real problem is the rest of the 100 nuisance taxes levied on the sector. If VAT was the only tax, it would be okay. But at this rate, everyone stands to lose.